Scientific research is important in this day and age to help us understand the world we live in and how to make it as safe as possible. The Insurance Institute for Highway Safety (IIHS) often conducts experiments to test cars and their drivers, but now the National Motorists Association (NMA) is questioning if their research methods in a recent study violated the privacy of Virginia motorists. Earlier this year, the IIHS released a report titled “Effects of Vehicle Power on Passenger Vehicle Speeds,” which sought to determine if there was a correlation between the power of a car and how fast it was driving in relation to the posted speed limit. 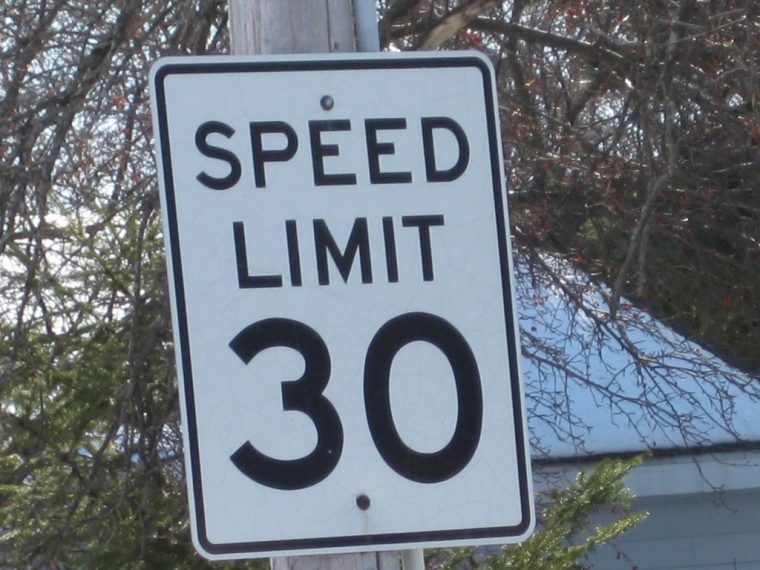 I know, the title sounds like riveting stuff, but the report was actually an interesting look into whether the prejudice that sports cars are more likely to be caught speeding is actually true (spoiler alert: it is). While conducting the study, IIHS researchers concealed speed cameras on roads in Virginia to capture how fast each vehicle was traveling in non-rush hour traffic, clocking about 85,794 vehicles with valid speed and license plate information. The researchers then contacted the licensing agencies of Maryland, Washington DC, and Virginia to obtain the vehicle’s VIN, and then the gender, age, and zip code of the registered owner so that the study could use the information to correctly identify the horsepower of a particular car. The age, zip code, and gender information was used to help researchers create equations that removed the influence of those factors on vehicle speed. Trust me, it’s very scientific and it makes sense if you wade through the 18-page report. I’m interested to see what comes of this letter. On one hand, the IIHS researchers never seemed to have access to a driver’s complete record, and while they received the age of the driver, they were not given the more sensitive exact date of birth, or even a name of the person who registered the vehicle. The information derived from this study could also provide better insight into a driver’s mind to insurers or other members of the automotive industry. On the other hand, the NMA might be correct that the IIHS did not have the correct permits for such data collection and could have been violating the law. To be fair, these two agencies seem to be at odds when it comes to every major automotive issue, and this is just the next chapter of their relationship. For example, the IIHS claims that red light cameras save lives, and the NMA thinks they are the bane of a motorist’s existence. In this particular case, there has to be a middle ground that protects drivers, but does not inhibit blind studies to get the best information possible.